The road cats eyes are naturally charged by the sun. As soon as it starts getting dark, the LED lights in the solar cat eye road stud can be given out automatically each night for up to 10 hours. The road cats eyes are specifically designed with road safety in mind and can help to prevent serious accidents and emit reflect light, which makes the solar cat eye road stud cost effective, easy to install and require absolutely no wires or maintenance. - Easy installation. No external power or paved circuit is needed, firmly installed by epoxy resin glue or screws. - Energy saving. Low power consumption and solar energy. - Excellent warning effect. 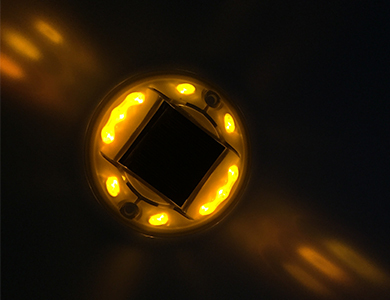 All LEDs can perform more soundly in active lighting and high brightness. - Firm and durable. Use the mold to press the outer covering at a time, which needs no more assembly as to improve the compression resistance. - Long working-time. 180 hours for flashing, 40 hours for steady in fog or rainy days after fully charged. 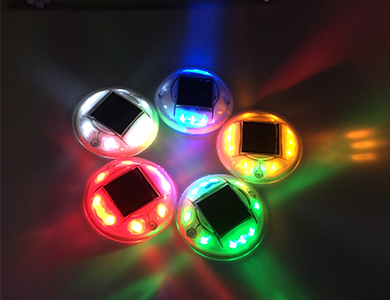 - Designed by integrated circuit and thermostability rechargeable batteries from LED road studs manufacturers. Ensure the long servicing life and performance of the product. The solar cat eye road stud is very useful for lighting a road marking especially in bad weather conditions. During the day, the battery of road cats eyes can be charged by the solar panel on the top. 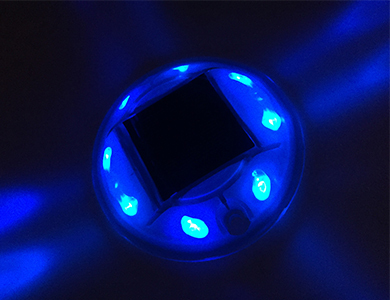 During the night, the LED will light for a period of 10 hours. 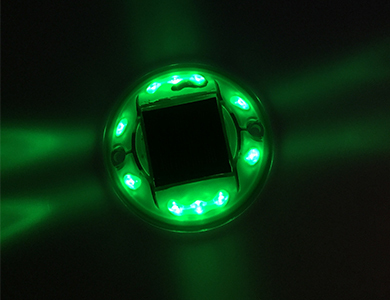 Because the LED lighting works on solar power, the road cats eyes are completely autonomous. With a compression resistance of 10 KN, they are also very robust. It could also keep your roadways well lit in the night and provide you with a visible distance of up to 650 yards at night for optimal visibility. Made of high quality polycarbonate, this solar cat eye road stud can handle a load of up to 20 tons with ease. 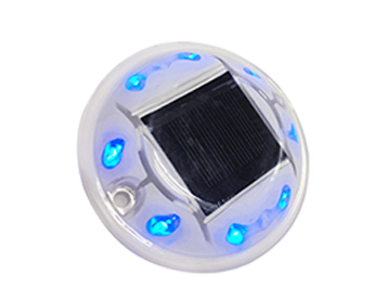 The poly-crystalline silicon solar panel of road cats eyes can help to recharge the included 700mAh NI-MH battery, eliminating the need to replace batteries. The heavy duty construction includes a rating of IP68 making it the ideal light to handle natures everyday elements. According to the research, 70% of accidents can be reduced by using the solar cat eye road stud. 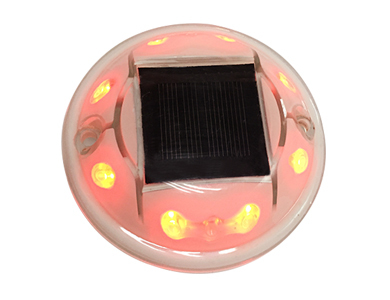 Of course, it can also be used to light your driveway or for other applications! 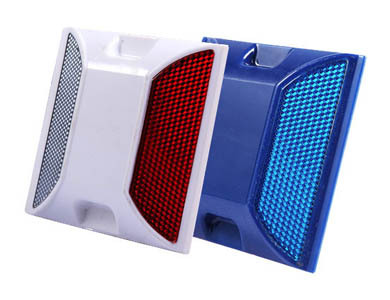 NOKIN TRAFFIC FACILITY has worked on the field of road studs for more than 15 years, and it has solar road stud, reflective road reflector, solar road markers, etc. NOKIN welcomes all kinds of consultation and feedbacks.